5 Games For Your Holiday Weekend! 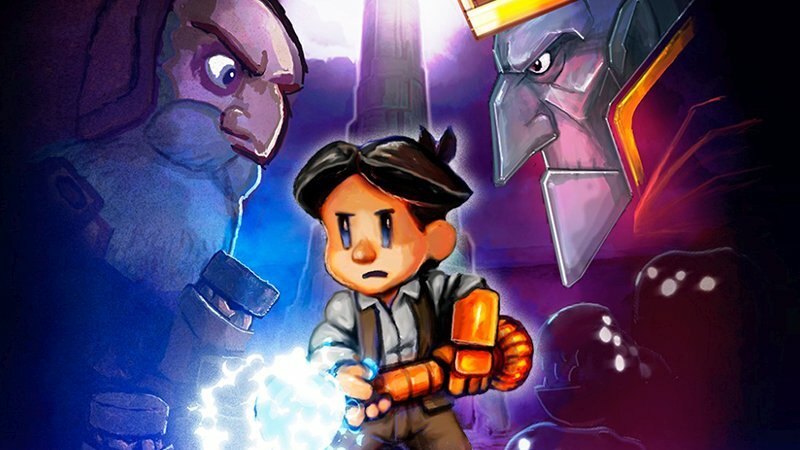 Wield electromagnetic powers as you explore a non-linear steampunk inspired world in Teslagrad, an indie gem by Rain Games! It's like The Wolf of Wall Street but in space! In Vostok Inc., play a greedy capitalist of galactic proportions by twin-stick shooting your way to success. Loved the horror of the original Lucius? It’s now back in Lucius Demake, de-made to embody a more 80s pixelated form. There are fewer colors, fewer pixels...but still just as many murders for young Lucius to commit. Dodge thousands of bullets and see if you can figure out what is threatening the very existence of humanity in Red Death. With its striking red and grey color palette, this is a vertical bullet hell shooter you don’t want to miss! In The Rivers of Alice, help Alice solve puzzles as you listen to the beautiful soundtrack. See if you can guide her to work towards self-discovery, confidence, and enlightenment. Like what you see? Which one will you play first? Let us know on Twitter or Facebook. We love hearing from you!